Popularly known for Merlion- the famous mythical creature also adopted as the logo by the Singapore Board of Tourism, and the picturesque views of the Sentosa Island, the Marina Bay Sands and the Singapore Flyer, Singapore is quite understandably topping the list of travelers around the world. Plus there are several other attractions that continuously seem to hook-up the tourist interest including the state-of-the-art Universal Studios, Gardens by the Bay, the Night Safari and many such hotspot tourist points which keep mesmerizing the people of various ethnicities choosing to visit here. Largely inhabited by people of Chinese, Malaysian, and Indian origin, the country clearly depicts the diversity of cultures in a way which makes it even more special. 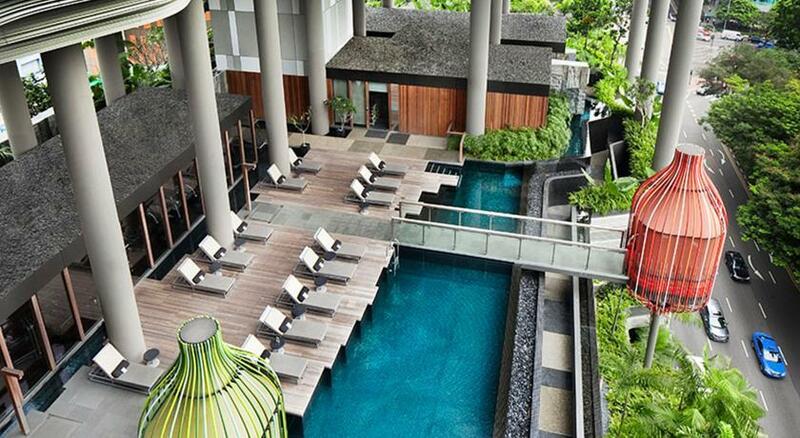 Looking at the widespread tourist interest, we have jotted down the list of Top 15 best hotels in Singapore. Built with a contemporary as well as modern outlook, the Fullerton Bay hotel adds a completely different flavor to the group of hotels in Singapore. The best part about this hotel is that it is situated on a waterfront, so it imparts a completely different feel to the stay. Immediately as you enter the lobby, you will find a noteworthy piece of architecture worth capturing with beautiful chandeliers hanging from the top to add to the glare. The swimming pool located on the rooftop provides an awesome view of the tall buildings of the Raffles place and the beautiful Marina Bay. 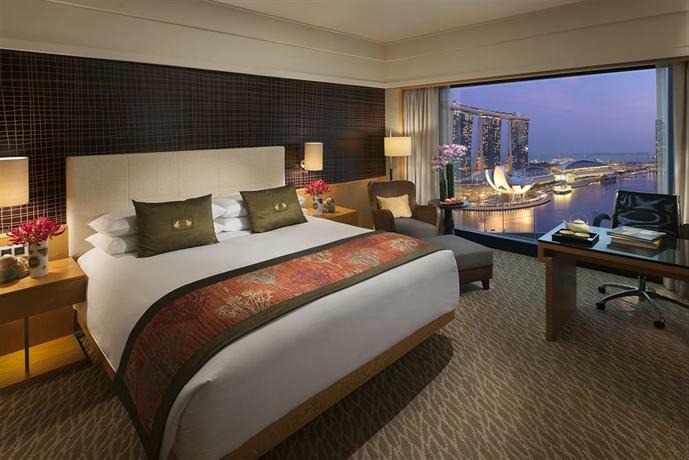 The Mandarin Oriental Singapore grants a perfect spot to its visitors to admire the many attractions at the famous Marina Bay such as The Shoppes at Marina Bay Sands and the Esplanade-Theatres on the Bay. Its 468 rooms and 59 suites designed with an oriental feel is well complimented by an exuberant dining experience. The Dolce Vita, Bay@5, the Axis Bar and Lounge, the Steakhouse, the Cherry Garden, the Melt Café, and the Teppan-Ya are the seven restaurants which hold the pillars of an exotic culinary experience keeping in mind different taste preferences. Adhering to the relaxation and soothing demands of the tired travelers, the hotel provides many spa and wellness facilities including personalized training sessions and a fitness center. To cater to the elite class of its customers, the hotel has set aside the Oriental club suites to give them the most satisfying experience during their stay at this hotel. Followed by these, the hotel is also an ideal choice for hosting business meetings and special events. Creations of the award-winning furniture designer Poltrona Frau is merely just another reason for entering into the fabulous palace look-alike structure of Hotel Fort Canning. Taking picks from much Italian, Asian, as well as Western flavors, the chefs at the hotel have put together finger-licking flavors to satiate different taste buds from around the world. 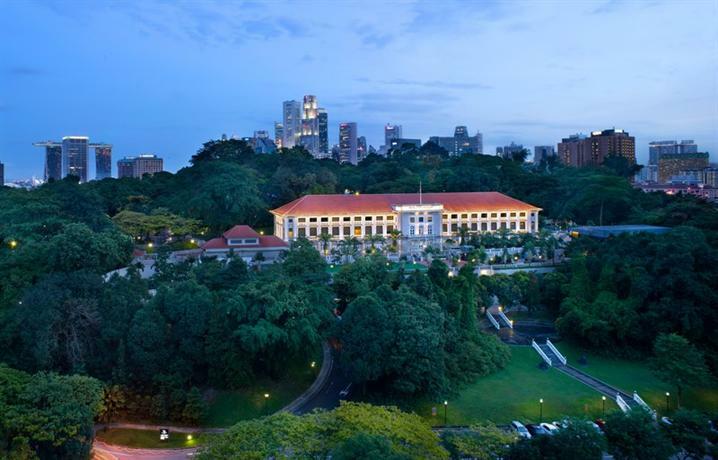 Along with this, the hotel provides you with an opportunity to walk the old heritage trails in the Fort Canning Park and accustoms you to the stories of military history at the Fort Canning Hill. The administrators of the hotel try their level best to make their visitors feel at home and enjoy the beautiful vicinity of the city of Singapore in the perfect mood. Past visitors to the hotel are often found talking about their sessions with the Chefs and the park curators. Furthermore, the lush green backdrop provides you with a perfect ambiance for visiting several museums and galleries situated at the heart of this hotel. Naumi Hotel is a perfect hotel for people interested in unique artifacts. This hotel possesses a grand collection of hand-picked designs from Zanotta, Aretmide, and B&B Italia. Also, worth mentioning is its prime location right next to the Formula One Track and Suntech Convention Center. If you are a die-hard shopper, then again this will be a perfect place for you as this hotel is close to the Central business district which has umpteen number of shopping malls. To further make your stay delightful, the staff here at the Naomi Hotel will leave no stone unturned to take care of all your needs! You will experience a hospitality like never before. You might also want to enjoy some swimming at the cloud 9 Infinity pool. As far as the dining is concerned, you will experience one of the most heart-warming meals at the Table by Rang Mahal restaurant. 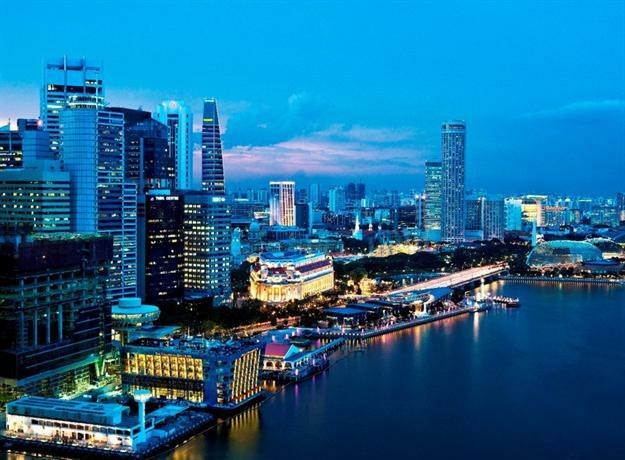 Nestled amid many famous tourist points such as the Boat Quay, Robertson Quay and the Clark Quay where you can enjoy a leisurely boat ride in the Singapore River, the Ascott Raffles place in Singapore is an ideal stop point for tourists. You can also take a ride up the gigantic Singapore flyer to capture one of the finest views of the city of Singapore sitting in glass-enclosed cabins, a short distance from this hotel. There is a gym facility for gym-lovers and many business-centric facilities provided for business travelers. The glass swimming pool overlooking from the Hotel lobby will indeed make up for a watchful site. You can enjoy Asian fusion cuisine in the Hotel Dining area. The hotel also has a Resident’s lounge for visitors who just want to sit back and relax! Located very close to the Orchard Road which is the hub of Singapore entertainment and shopping venues, the Grand Hyatt stands tall at Scotts Road offering its guests one of the most-lively experiences in the whole Singapore. The hotel flauntingly serves exotic cuisines in its five restaurants that will keep you spoilt for choices. You can also booze at the award-winning martini bar in the mezza9 restaurant which has a varied collection of martinis in Singapore. 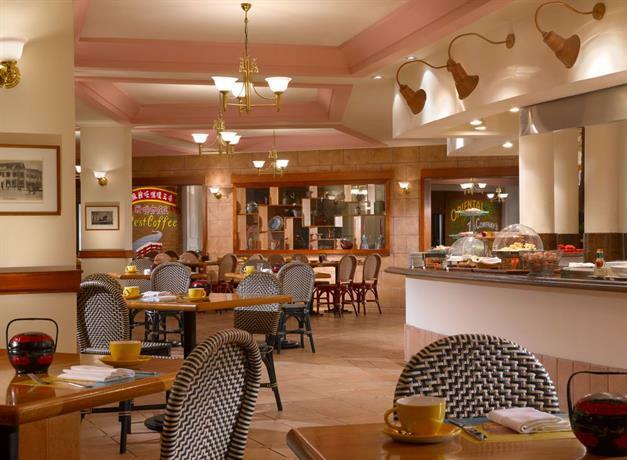 Wanting to opt for other specific choices, you might go for the Straits Kitchen which is mainly famous for local delights, 10 Scotts, Pete’s place to enjoy a hearty Italian cuisine, or enjoy some barbecue along the poolside at the Oasis restaurant. The Brix Nightclub and a host of other activities like spa, an elaborate fitness center and sparkling swimming pool inside the premises further add to the grandeur of this hotel prominently located amid a rich cultural space. Adorned by the proximity to the Clarke Quay and the Boat Quay along with Gardens by the Bay and Marina Bay Sands, the Parkroyal on Pickering Street has been further bejeweled by the concept of enormous sky gardens. The Orchid Club Lounge on the rooftop offering scenic views of the city serves as the perfect cherry on the cake which makes residing in this hotel, an experience worth re-visiting! The exquisite hotel rooms have been flooded by natural light to keep the touch of nature alive to give the hotel guests a heavenly experience. Protruding above the whitish views, you can spot the Hong Lim Park and the Chinatown sitting in the luxurious comfort of your suites. For visitors wanting to have an ultra-rich experience, the hotel also provides suites in the Orchid Club rooms to enjoy meals at the Orchid Club Lounge amid breath-taking views, further complimented by a host of special privileges. The Infinity pool, St. Gregory’s Spa and the Poolside cabanas along with fitness and recreational facilities, all come together to impart an exciting experience staying at this hotel. 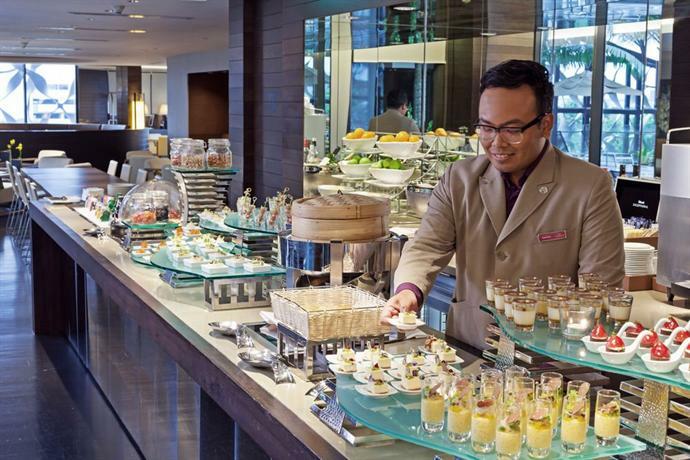 Fairmont Singapore entices travelers who love to have a flavor of different cuisines. With 15 restaurants and bars, and one of the largest collections of food options from the world across, this hotel is nothing but a heaven for food-lovers. With a whole lot of amazing wellness and spa facilities, this hotel pampers your tired muscles to the core and provides you the supreme level of relaxation. From Willow Stream spa to steam and sauna rooms, lounges and pools make up for a calm and relaxing stay at this hotel. You can easily avail such lucrative facilities, as the hotel is located very close to the world-class shopping and entertainment avenues. If you want to explore the place around, the City Hall Mass Rapid Transit is right in the proximity of this hotel. Who would not love to stay at a location directly facing the biggest shopping outlets to have an extensive shopping experience? Yes, you can shop till you drop as they say it during your stay at this hotel. Wisma Atria, Ngee Ann City, and ION Orchard stand imposingly on the Orchard Road right next to Orchard Parksuites. While this hotel is an ideal choice for tennis lovers, it is surrounded by classic Tennis courts; you can also use the gym with LEDs installed, the pool facilities to keep you engrossed up the entire day in case you do not plan to go out. Soon after you enter the gates of the hotel, you will be greeted by a well-trained professional staff who will promptly assist you with all your needs. The hotel has uniquely designed suites and penthouses with the finest architecture to make its guests indulge in one of the most gratifying experiences of all times. 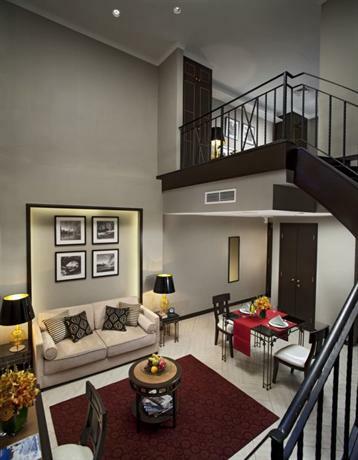 AMOY Hotel and Suites brag for offering one of the most distinct stay experiences in Singapore. If you want to choose a hotel which stands apart on giving you a personalized experience in your stay at Singapore, then there is simply no match for AMOY. And the staff manages to do so as there are only 37 guestrooms, so the quality of services and management is bound to be impeccable. The hotel is designed and equipped in a way that suits the needs of both business travelers and vacationers alike. The chef Thomas Cook takes on the responsibility for an ultimate experience while dining at this hotel, his specialty dishes continue to inspire sushi lovers at the Hokkaido Sushi Restaurant located within the hotel itself. For a relishing experience in Dean and Deluca, the famous New York restaurant chain, guests need to walk up to the Far East Square, 50 meters from the hotel. 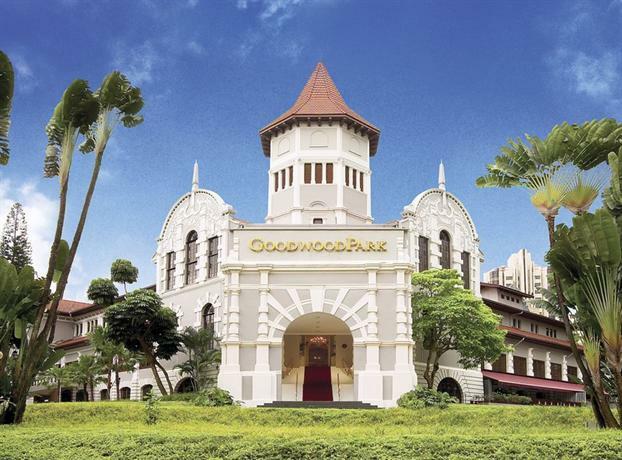 To grant you with one of the finest touches of heritage, Goodwood Park Hotel is housed in a building which stands tall since 1900. With one of the finest amenities, the building continues to stay on the list of best hotels in Singapore due to rigorous efforts for restoring this priced possession of Singapore. The Grand Tower of this hotel has held the prestige of national monument of the lion city since 1989. Decorated with lush greenery, the hotel is a perfect choice for travelers who are looking for a quiet retreat with nature. The award-winning restaurant has 233 spacious suites and is surrounded by 2 swimming pools, a spa, and a fitness center, along with five distinguished restaurants to provide a heart-warming getaway for travelers. 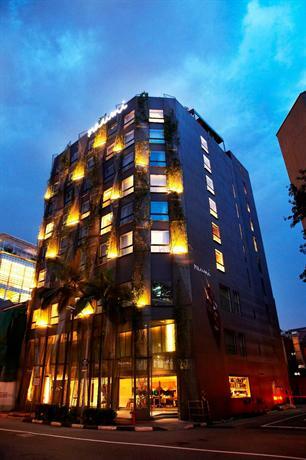 In addition to that, the hotel is located very close to the Central Business District. The direct accessibility of the Crowne Plaza Hotel from the Changi Airport itself makes this hotel the abode of travelers. 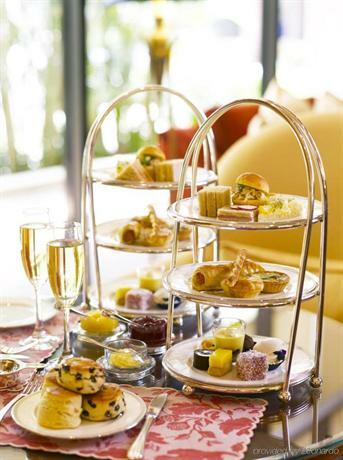 Crowne Plaza management along with the state-of-the-art infrastructure all clubbed together strives to give its visitors one of the most royal experiences in Singapore. Crowne Plaza Hotel has particularly been famous for its magnificent architecture both from outside as well as inside. The transparent water over the pool and several mini-pools encompassed with lush greenery of flora provides a scenic view from the large windows of the hotel suites. The architecture has been designed in such a way that natural light reaches every nook and corner of the hotel, even the bathrooms. The lobby and the ballroom area has been given a succinct look where the water-covered skylights filter through from the ceilings to create an elegant view for the viewer. In addition to this, the wide open corridors, gardens, and courtyards create a perfect ambiance making the stay rich and classy! 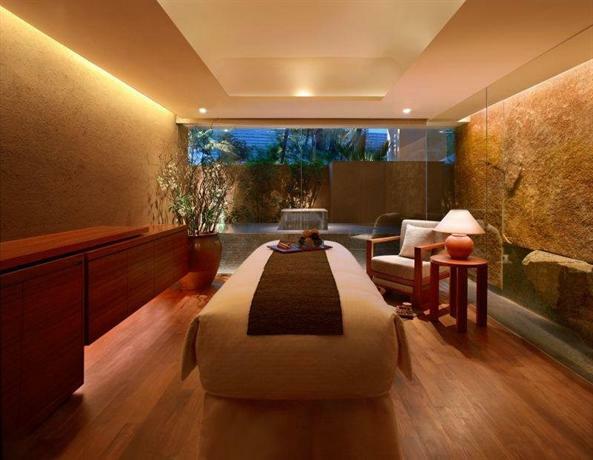 Tranquilize yourself in a rich peaceful environment in Regent Singapore and make your vacation a memorable one indeed! Laden with a wooden interior, the hotel lobby speaks volumes of the hotel facilities as soon as you enter it. 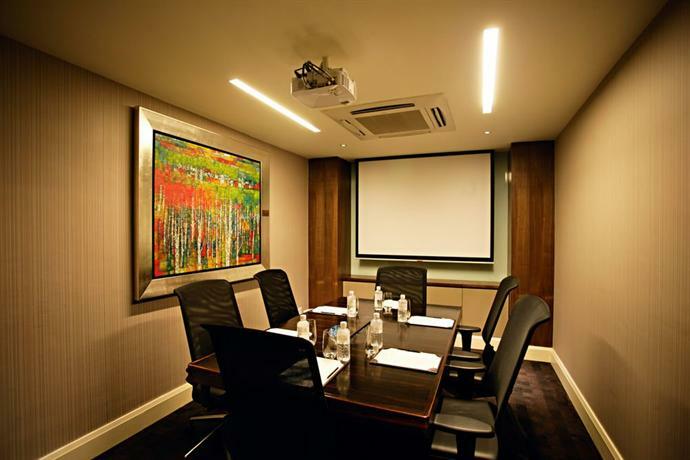 To ease away transportation woes of the guests, Regent Singapore has been located at a strategic location on the Orchard road of Singapore offering a perfect balance between hustle-bustle of the city and peaceful atmosphere for the discerning guests. The closest tourist destination points are Singapore Botanic Gardens, downtown Marina Bay, and the Central Business District. If you are looking for culinary delights, then again this hotel doesn’t disappoint you at all with various authentic Italian, Cantonese, English, Japanese, and Korean cuisines served by in-house chefs. The therapeutic massages at the much-talked-of fitness center of this hotel will definitely trigger a memory or two once you reach back to your houses. Situated very close to the Chinatown area of Singapore at the Havelock Road, Village Residence Clarke Quay grants an ultimate multi-cultural experience to its guests. Adopting bits from the Chinese and the Peranakan culture of Clarke Quay, the hotel is designed with intricate ceramic and woodwork. The hotel sufficiently satisfies wandering lusts of its visitors as it is located close to the Central Business District which is home to world-class showrooms and shopping malls. There are 4 different types of suites offered in this hotel, all fully equipped with TV, the internet, and a fully functional kitchen. Plus the gymnasium, sauna and swimming pool naturally enhances the quality of stay at this hotel. Village Residence Clarke Quay has been serving many happy customers, both business travelers and family vacationers for many years. 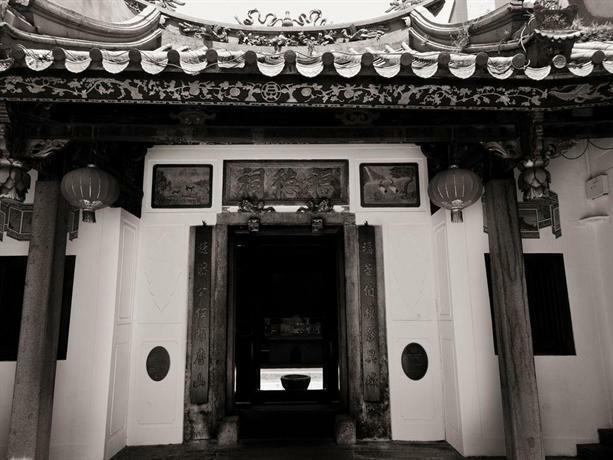 A property owned by Wangz, this hotel has been the traveler picks since a long time. Designed with ultra-modern facilities makes this hotel a perfect haven for tourists. 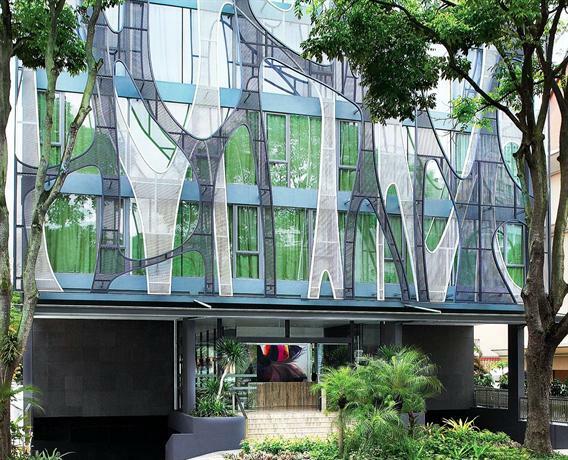 This hotel provides sufficient opportunities to its guests to enjoy Singapore attractions suiting their varied tastes. Whether it be gardens that they are looking for or the city district center, the Novena MRT station located across this hotel ensures an easy and comfortable transport facility to almost anywhere in the surrounding area. This hotel has been providing a very affordable and classy resort for leisure and business travelers since a long time now. The captivating grey-colored design of the building has ever been throwing baits to the visitors across the world to come and spend an ultimately relaxing time in this boutique hotel.